Non Destructive Testing is the inspection of a component in a manner that will not make it unsuitable for further service. We regularly employ NDT on welds in large metal structures such as bridges, buildings, machinery, offshore rigs and vessels. Welds may be tested using NDT techniques such as industrial radiography or industrial CT scanning using X-rays or gamma rays, ultrasonic testing, liquid penetrant testing or via eddy current. 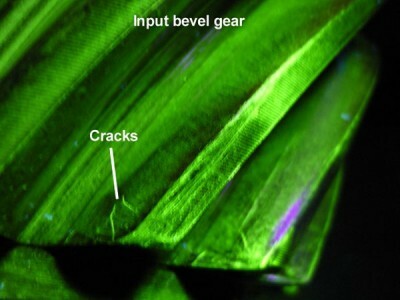 In a proper weld, these tests would indicate a lack of cracks in the radiograph, show clear passage of sound through the weld and back, or indicate a clear surface without penetrant captured in cracks. 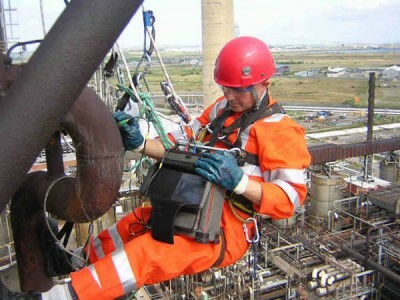 Pinnacle Safety and Training also provide highly skilled Rope Access Technicians to work in association with large NDT firms on major on-shore and off-shore projects.